The Sydney Comedy Festival Showcase Tour will be tearing up the freeways of Australia for the seventh year in a row to bring the crème de la crème of the 2019 Festival to Thirroul! Following mass lay-offs in Australian media and the merger of Channel 9 and Fairfax, The editors of The Betoota Advocate will visit each corner of the country explaining how, in this day and age, they have managed to keep a newspaper in the black. In a brutally honest 90-minute presentation, editor Clancy Overell and editor-at-large Errol Parker—along with a very special guest—will treat audiences to a no holds barred live show in true Betoota-style, filled with their trademark wit and humour. Fast becoming one of Australia’s most widely read news publications, The Betoota Advocate has won over disenchanted millennials and attracted attention internationally with its jocular headlines. Fan favourites include ‘ Builder Shocked As Apprentice Comes Back From Bunnings With Tartan Paint, Box Of Bright Sparks’, ‘Demolished Cheeseboard Suggests The Girls Are Having A Real Crack Tonight‘, ‘Reversing Boat Trailer Results in Chorus of Woo Sounds From Nearby Dads‘, ‘Kim Jong-un promises Bob Katter He Won’t Nuke Cloncurry’, ‘Inner City Leftie Saves The World By Positing Leftie Stuff On Facebook To Other Lefties’, and ‘Australia Enjoys Another Peaceful Day Under Oppressive Gun Control Laws’. VIP Meet & Greet Inclusions: - Gold seating - Meet & greet with Clancy Overell and Errol Parker - Photo opportunity - Souvenir VIP laminate - Souvenir Roadshow T-Shirt - Private Q&A session VIP patrons will be contacted via email by the promoter 7 days out from event with package details. 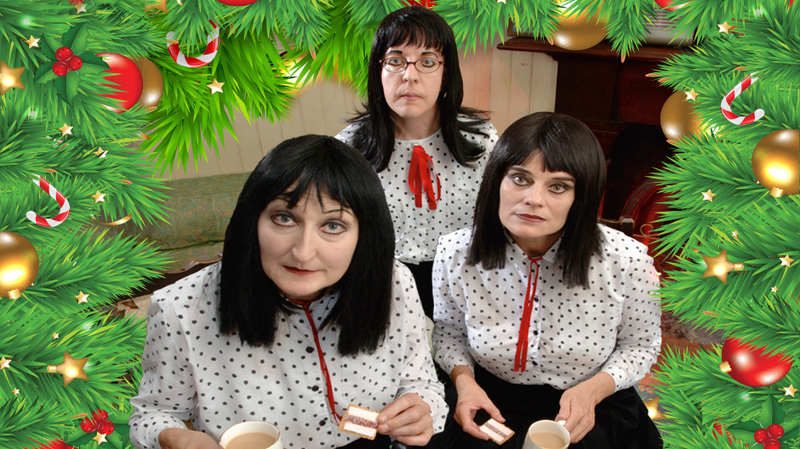 Robina Beard, aka Palmolive Madge, will be Barry's guest at the Xmas show. She'll be joining him on stage for a chat and a song. Imagine carols with Barry, oh my! Yes it’s Yuletide cheer Morgan Organ Style. 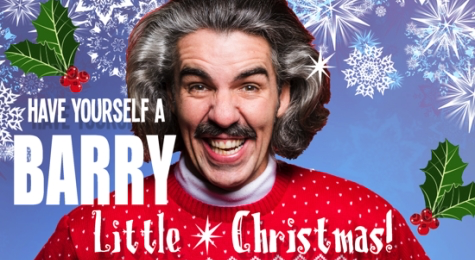 Barry Morgan will put a smile on your face this Christmas. Come one and all, and enjoy a Christmas party with a difference and a whole lot of organ. Barry is searching far and wide for that special friend. Maybe this is the night he gets a kiss or two under the Mistletoe, who knows? Santa says everyone gets lucky at Christmas. Let Barry put a little organ joy in your stocking this year and Have Yourself a Barry Little Christmas! MC for the night is the inimitable superstar Rhys Nicholson – whose razor sharp wit and wry humour is sure to keep the laughs coming! Highlights from the Showcase will include the no-nonsense comedy of one of Australia’s most in-demand comedians, Luke Higgie, mischievous Australian comedy darling Becky Lucas, and the rapid-fire jokes of American-born Australian adoptee Mike Goldstein! With special guests joining these comedy stars live on stage, you'd better strap in because this is a night you will not want to miss. The Sydney Comedy Festival Showcase will be tearing up the freeways of Australia for the fifth year in a row to bring the crème de la crème of the 2017 Festival right to your doorstep and for the first time ever we are bringing the showcase to Anita’s! So get ready ‘Straya… The Showcase Tour is back on the road. Call your pals and grab your tickets to the funniest night of entertainment you will see all year! Arj returns for his annual pilgrimage to Anita's Theatre with ORGANIC - 2nd show added due to popular demand! 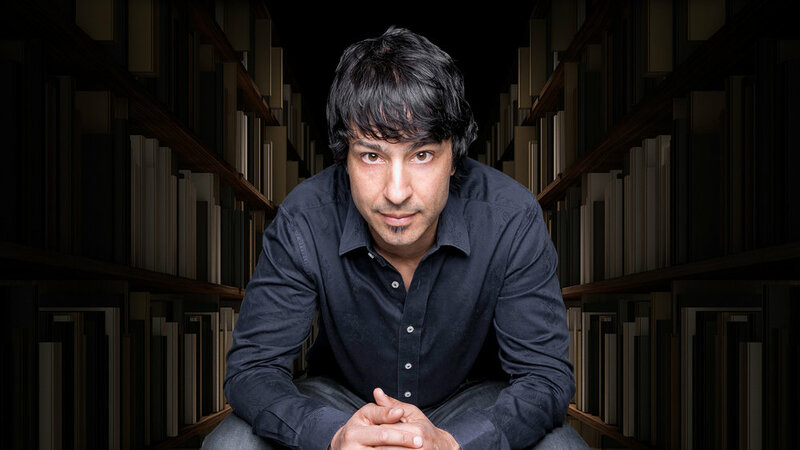 Arj Barker is arguably Australia's favourite American comedian. In recent years, he has spent more time in our country than his own and has come to understand our culture perhaps better than we understand it ourselves. His stand-up is both insightful and pointed, like a mind-reading thumb tack, if there was one of those. One tour just isn’t enough! The JACKASS boys have given into demand from screaming fans and are headed back down under. Jason 'WeeMan' Acuna, Chris 'Party Boy' Pontius, Preston Lacy & Dave England are returning to Australia after the wild success of their 2016 tour! Fans went crazy when the JACKASS favourites toured in 2016 with their ‘Filthy Seppo Tour.’ Audiences all over the country got a dose of their favourite daredevils and now they’re coming back for more. Die-hard JACKASS fans and Aussies looking for a laugh packed out venues ... and the love is mutual! The JACKASS sensation started back in 2000 with the boys releasing their record-breaking MTV series. Soon after they scored an epic movie deal that grossed over $500,000,000 and a run of box office #1’s. The crazy comedy show promises to deliver a massive mix of stand-up, stunts, stories, insults and observations. The much-loved boys will entertain audiences for an epic 90 minutes with an incomparable show. Stage Addiction can’t wait to welcome the boys back to Australia and who knows what they will get up to this time. Interviews are available Tuesday 21st and Wednesday 22nd of February and at select points throughout the tour. Arj returns for his annual pilgrimage to Anita's Theatre with ORGANIC. Barry Morgan is the ultimate home organ salesman and owner of the World Of Organs store situated in the beautiful Sunnyside Mall, Adelaide. When he’s not busy giving the public the best organ deals in town, you can catch him performing live, sharing the ‘Joy Of The Organ’. Barry wants to take you out of this world where no organ has gone before. For Space Travellers and Organ Lovers alike, Barry will play all the great cosmic hits from Star Wars to Space Invaders and beyond! You will be dancing amongst the stars as you get Spaced Out with Barry Morgan! Barry Morgan rose to fame after performing on ABC’s Spicks and Specks where he became an instant audience favourite. Barry’s gone on to grace our screens on numerous shows such as Gordon Street Tonight, The Marngrook Footy Show and ABC’s New Years Eve Pub Quiz. In 2015, Peter featured in a series of his own TV Shows that were aired later on prime time on the Channel 7 Network. Peter has been a regular and a favourite guest on the Channel 9 Footy show and will continue to make outrageous appearances on this program during this year. Peter’s upcoming live shows will have lots of new fun and outrageous routines where the audience can expect the unexpected. In fits of hysterical laughter, Peter seems to lose himself in each performance, pushing the boundaries of standard hypnotic fair and raising the bar with unique and truly whacky routines. All of this is delivered with a somewhat wayward humour in his distinctive, mischievous and impish style. Although the observer experiences a rollercoaster ride, on the very edge of what could be considered sane and proper, Peter manages to give us an ample glimpse of potential danger and mind-manipulation- gone-wrong whilst impossibly striking the balance of not taking hypnosis too far. Peter says ‘Australia is amongst my favourite places to perform. ‘Australian audiences have the perfect outrageous sense of humour, are very supportive and always show their appreciation for my shows’, ‘they push themselves to the edge…thus providing great entertainment like nothing else!’ ‘Also, possessing great sense of adventure means that there is never a shortage of volunteers to come up on the stage and give hypnosis a try’. ‘My first success with hypnosis was a complete fluke. I was messing around with an old pocket watch and trying to zap my younger brother. To my surprise, it worked! That was the start of an obsession that still lasts to this day’. ‘There were many obstacles during my fledging path to professional hypnosis. I was always getting into trouble with my school teachers and the parents of my friends were none too happy that I was practicing on them either’. ‘I did have my fair share of lollies and pocket money at the time’. ‘It has been more than two years since I did a proper tour of Sydney venues and I am so excited to be back. It just feels like I have come home’. ‘Although my sense of humour could be considered somewhat wayward, I do maintain an ethical sense of duty to my hypnotic subjects and make sure I bring thou out of hypnosis at the end of the show, returning all their normal faculties’. As well as displaying his skillful stagecraft in venues around the world, Peter Powers has starred in and presented 60 of his own television shows in five different countries. These have been broadcast in more than 30 countries worldwide. He writes and creates unique formats for broadcast and devotes much time to his pursuit of knowledge and practice in the field of hypnosis for self-improvement, behavioral modification, extraordinary perception, altered states of consciousness and the control of chronic pain. 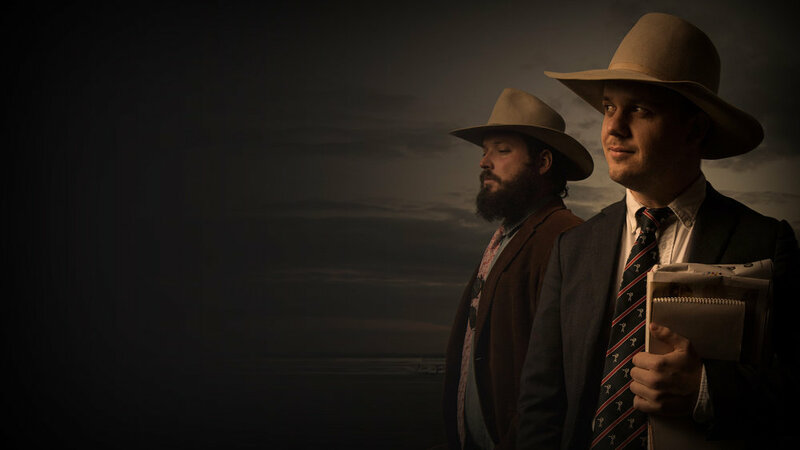 These 20 live shows, in 15 theatres and concert halls around Australia, will feature some of your favourite Australian music legends performing their hits, alongside the brightest and best contemporary artists interpreting genuine Australian classics. As usual, four contestants will be drawn from the audience on the night to sit alongside rock and roll royalty and participate in the madness and mayhem that is RocKwiz Live! This will be the team’s 4th national tour and they are raring to go! ROCKWIZ LIVE! SALUTES THE ARIA HALL OF FAME will be based on the television format, but with at least four guest artists each night, increased audience involvement, the legendary Contestant Karaoke segment and questions, songs, riffs and anecdotes based on the artists and bands who are in the ARIA Hall Of Fame … many of whom will appear in these shows. See below for a full list of the ARIA Hall of Fame inductees. ‘It freaks me out that these guys deliver the quality of entertainment we see every Saturday night on the small screen with such effortless precision, with humour that never misses the mark and flawless delivery of every aspect of the show. These guys are just brilliant at what they do! Not a single blemish on the whole performance and of course the musical acts were outstanding as well. A million billion stars out of 5’. With over ten years in the business Dave as established himself as one of Australia's most sought after headline acts. Dave is a veteran of Fringe and comedy Festivals both here and abroad, having starred in one man shows as well as ensemble shows. With a solid background in acting, Dave uses strong characters and has a tendency to improvise lending his show a distinctly theatre flavour, and his ability to adapt his performance from pubs and clubs to theatre and television ensures Dave will continue to work alongside Australia's best known comedians. By no means a novice David has performed along side some of the world's best including Jimeoin, Carl Barron, Stevie Starr, The Amazing Jonathon, Sean Hughes, Judith Lucy, Greg Fleet, Matt King, Shane Bourne, Chris Franklin, Vince Sorrenti, Bruno Lucia, Steady Eddy, Julia Morris, Kitty Flanagan & Modern Problems in Science and was asked to support Michael Buble on his last Australian tour. David has played the Melbourne International Comedy Festival every year since 1999 with a new show each year - a testament to his writing ability. He was chosen to perform in the MICF Montreal Showcase and the Australian MICF Roadshow which tours nationally. In 2000 David performed his one man show at the Adelaide Fringe Festival, achieving full houses and rave reviews. What are you waiting for? Hop on in and let's ride. There's plenty of room in here. Join me and together we'll contemplate everything from the social evolution of humanity, to the intriguing and elusive nature of non-sexually derived boners. I'll even mention fondue at some point, and that's a promise. So take a load off your mind and get into mine already!